Singapore cocktail bar Smoke & Mirrors has appointed Jorge Conde as its new head bartender and launched its latest menu, called Illusion of Flavours. Conde has more than 14 years’ experience in the on-trade, as well as a background in graphic design. Before joining the team at Smoke & Mirrors, Conde trained in his home country of Spain and worked in a number of London venues. Alongside the news of his appointment, Smoke & Mirrors unveiled its latest drinks list, which was created by Conde. Illusion of Flavours is divided into six categories, each featuring a selection of cocktails inspired by different flavour sensations. A QR code alongside each cocktail on the menu offers imbibers the chance to learn more about the preparation of the drink. Split into categories named Fizzy and Elegant, Sour and Neat, Long and Refreshing, Strong and Neat, Fruity and Punchy, and Savoury and Umami, the cocktails were inspired by artworks from artists such as Andy Warhol, Pablo Picasso, Salvador Dalí and Vincent van Gogh. 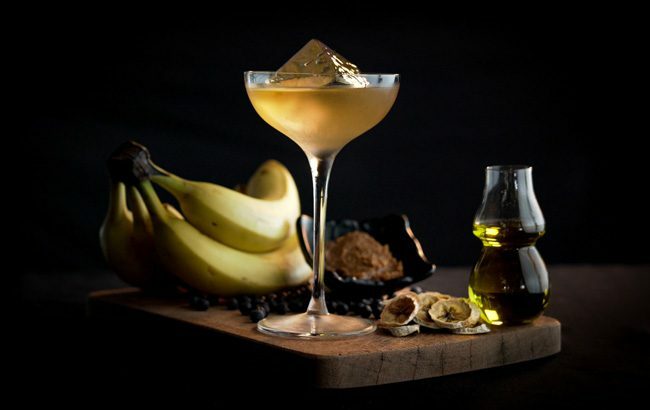 In Savoury and Umami, imbibers will find the banana-infused Peel and See, inspired by Andy Warhol’s work for the debut album from American band The Velvet Underground. Peel and See is made with banana-, miso- and olive oil-infused gin, quinine apéritif and garnished with a spritz of olive oil. Sour and Neat is where imbibers will find the Between the F1, which was inspired by the Singapore Grand Prix and is made with Rum, pineapple, Torontel grape, citrus and bamboo charcoal. Finally, Long and Refreshing is home to Robbery at the Museum, which contains Maraschino liqueur, cherry brandy, cherry bitters, local herbs, fermented pineapple and aquafaba. 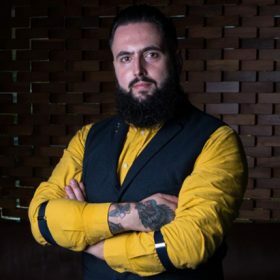 Conde said: “For this menu, my goal was to reimagine classic cocktails, focusing on traditional flavour profiles and exploring new ways to create them. “By using techniques such as distillation, preservation and fermentation, we are able to create unconventional combinations that will surprise and intrigue our guests. I find that people often have preconceptions about how a drink will taste, and I wanted to challenge those expectations with our drinks. Click through the following pages to see a selection of cocktails from the Illusion of Flavours menu.